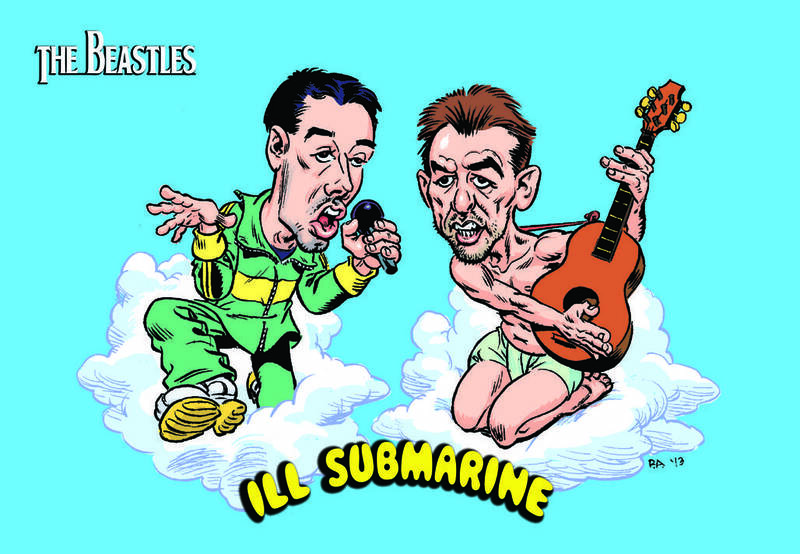 Here's some wonderful musical news: djBC has revived the Beastles, the inspired Beastie Boys/Beatles mashups that resulted in two spectacular albums, ultimately censored off the Internet thanks to legal threats from EMI. There's also the video for the title track, "Ill Submarine, above, and some poster art from Yo Yo Yosef. I've had a preview of the album on heavy rotation for two days and it is spectacular.